Each year, thousands of people look to add living space and re-sale value by improving and extending their homes. Many seek planning permission from their local authority not knowing that an often lengthy planning process could be bypassed altogether thanks to permitted development rights. Planning permission is formally-granted permission for the erection or alteration of buildings or other structural development. 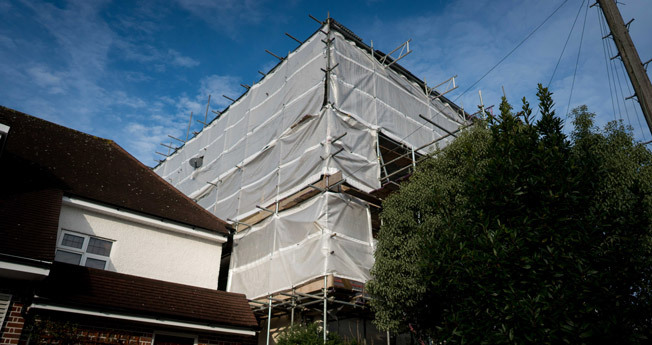 Permitted Development (PD) rights allow you to extend up to a given percentage in volume of an existing house and carry out certain improvements without the need for planning permission. PD rules apply separately to England, Scotland, Wales and Northern Ireland. The criteria for work carried out under PD is strict, so it is advisable to check with your local authority planning office or have a qualified surveyor confirm that planning permission is not required. So, what types of work can you carry out under Permitted Development? Conservatories fall under the same rules. The external footprint must occupy no more than 3m-squared and be no higher than 3m above ground level. No part of the porch should fall within two metres of the boundary of the original property and the highway. No more than half the area of land around the original property can be covered. Outbuildings must be single storey with maximum height restrictions. Verandas, balconies or raised platforms are not permitted under PD. The insertion of new windows, doors, skylights or roof lights is permitted (although building control may need to be notified). A new bay window is treated as an extension. Permitted Development rights only apply to private houses. Flats are excluded, as are listed buildings. Properties in specially designated areas such as Conservation Areas or green belt are also subject to further restrictions. You can use PD rights as often as you like but your allowances for extension work can be used only once. If you are buying a property, it is your responsibility to find out what PD rights have been used, modified or withdrawn. While it should be possible in most cases to determine if your project qualifies as Permitted Development, there will be instances where further clarification is needed. Rather than submit a planning application, you may apply for a Lawful Development Certificate (LDC). This is a formal application for your local authority to decide if a project requires planning consent or not. Your local authority planning department may have removed some of your permitted development rights by issuing an Article 4 direction. This means that you will need to submit a planning application. Before any work begins, you should contact your local planning office and discuss your project. Visit the Planning Portal for more information about Permitted Development and planning permission. MyBuilder has thousands of quality, reliable Builders. Post your job now to get quick responses from local tradesmen across the UK. Do you need advice about improving your home but aren't quite ready to post a job? Find the answers to your questions, courtesy of our expert tradesmen.